"Flexible wedding and function venue"
All reviews are the subjective opinions of third parties and not of the website or its owners. Reviews are placed by members of the public that have held a function or event at The Green at Netherton Farm. 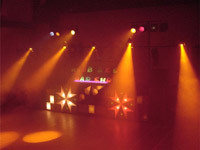 At needadisco.com we only accept reviews from confirmed clients that have booked a DJ to play at The Green at Netherton Farm via our website, with the arrangements independently verified by both the DJ and the client before the event takes place - no "fake reviews" here! "The Green in a perfect wedding venue. The Green team are always on hand with helpful information and advice which is vital when planning a big event. The cottages and house are beautiful and exceptionally well presented. The grounds are stunning- perfect for wedding photos! The wedding barn is so cute and quaint- just gorgeous! And the green room is an ideal space for the reception as it is light^ airy and very easy to decorate to personalise it to your wedding theme. The Green team really think of everything and provide lots of finishing touches to perfect the decor. We couldn't have wished for a better day. The Green is romantic^ beautiful^ stunning and was more than we hoped for." 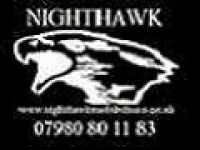 Helpful information for DJs and entertainers visiting The Green at Netherton Farm provided by trusted members of needadisco.com. PARKING: There is a large car park, but parking for the DJ will likely be in a different location around the back nearer to the venue. ACCESS: You can get around to the back of the function room then loading is only a short distance, some 30 feet away. STAFF: Staff are friendly, manager is helpful. ADDITIONAL COMMENTS: "A small venue, with quite a high celing, with a small bar in one corner of the room. You will not be permitted to use your own speakers at this venue, instead you must connect your playout via XLR sockets located on a wall plate, These connect directly to an attenulated inhouse sound system. The system plays at a resonable volume and a noise level meter is in clear view, If the led indicators stay in the red for more than 7 seconds the power will cut off. The inhouse system is severely lacking a"
Information is based on enquiries and bookings handled via needadisco.com so whilst it's a great insight, if you have any questions or concerns about holding a function or event at The Green at Netherton Farm please contact the venue. The Green at Netherton Farm has previously been hired as a venue for private parties such as birthday celebrations, anniversaries, engagements etc. The Green at Netherton Farm is in our Historic Venue category. The map below shows other local venues in the same category.